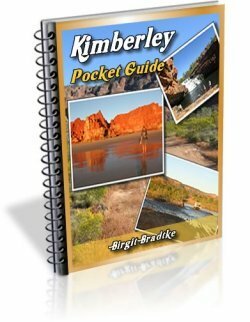 On this "Kimberley Travel Blog" you find the latest additions and updates I made to the website, new trip reports that have been added by readers, and important travel news from the Kimberley region. 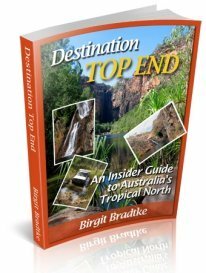 I also publish some updates I made to my guide e-books Destination Kimberley, Destination Top End and Destination Red Centre, information that you will not find on the website, but only in the e-books. Another option to stay up to date with everything I offer is to subscribe to my free newsletter via the subscription box at the top. They have not decided on an official opening date for the campground yet but are looking at around the middle of May. They will know more by early May. Continue reading "Kimberley and NT News, Issue 77"
Hike to Mitchell Falls with knee problems? Continue reading "Hike to Mitchell Falls with knee problems?" 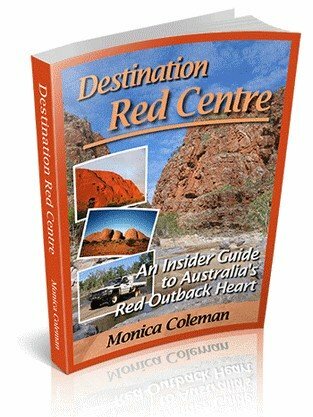 Early March 2019 I received an email, asking me if I am interested in promoting a new book about the Kimberley, called "100 Things To See In The Kimberley", and receive a commission on sales. Continue reading "100 Things To See In The Kimberley"
Which permits and passes do you need for a visit to the Kimberley or a trip along the Gibb River Road? Which parks and properties charge an entry fee? Continue reading "Kimberley and Gibb River Road, Required Permits and Passes"
Opening of the Kalumburu Road has been delayed due to the inspection crews experiencing some heavy rain while up there. The shire currently has a grader working alongside the inspection crew to deal with the wash-outs. Please remember that driving on a closed road attracts big fines. Driving on a wet road can also damage the road even more and could delay the opening further. Yesterday's newsletter had info on the Gibb River Road (already open all the way since March 15) and the Kalumburu Road (expected to open on the 25th or soon thereafter). It also mentioned that some weather models predict a weak monsoonal trough may redevelop over the coming week. Well, today already it looks like there is a possibility of a low forming north of Darwin and heading west towards the Kimberley. So please, if you plan to head up here in the next days or week, keep an eye on the weather forecasts! Purnululu NP will open on April 1 as usual! Continue reading "Kimberley and NT News, Issue 76"
"The Tanami desert road from Alice Springs to the Granites is currently in the worst shape it has ever been. It is not suitable for any caravans, off road or otherwise. There are currently at least six triple road trains going in and out daily and they don't get through unscathed." Thank you, Dave Egan, for letting us know! Can you help Jeff with his Kimberley - Top End itinerary? 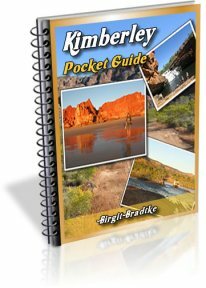 Continue reading "Kimberley and NT News, Issue 75"
Continue reading "Suggestions for Kimberley-Top End Itinerary"
Continue reading "Kimberley and NT News, Issue 74"
Continue reading "Travelling the Kimberley with a 10 month old kid"
Reader Question: Can you help? Continue reading "Kimberley and NT News, Issue 73"
Not much from the Kimberley, some updates for the NT, booking recommendations for next season and lots of reader feedback and trip reports. Continue reading "Kimberley and NT News, Issue 72"
Continue reading "Kimberley versus Kakadu National Park"
The latest newsletter issue has info about bushfires, about impending closure dates of campgrounds and parks along the Gibb River Road, and lots of reader feedback and trip reports. Continue reading "Kimberley and NT News, Issue 71"
Continue reading "Gibb River Road by motorbike"
As I announced in the last issue, I am sending newsletters less frequently now, as always during the later half of the season. Continue reading "Kimberley and NT News, Issue 70"
Recent opdates (Karunjie Track info, additions to Destination Kimberley). Reader feedback on current conditions. Future developments on the Mitchell Plateau. I will be away from July 14 till July 21. Continue reading "Kimberley and NT News, Issue 69"
Continue reading "Kimberley with Kiddos!" Here are two additional items that arrived a few hours too late to make it into the last newsletter. 1.) Kununurra is currently seeing a surge in vehicle break-ins and the police seem powerless to stop it. It is recommended you don't leave your vehicle unattended for example when shopping. Please remember that this not only applies to Kununurra. All Kimberley towns have had to sporadically deal with these issues. Always be vigilant. 2.) The car hire company Australian 4WD Hire was highlighted in a recent newsletter. The investigation continues and has been in the news again, here and here. Continue reading "The Duncan Track, April 2018"
Continue reading "Kimberley and NT News, Issue 68"
A Kimberley travel guide for adventurous dogs! I never mentioned or advertised it anywhere, but years ago I put together a little guide book specifically for dog owners. Continue reading "Travelling the Kimberley (and Gibb River Road) with Dogs"
Continue reading "Kimberley and NT News, Issue 67"
As of May 21 the Kalumburu Road is open all the way! The road is open for high clearance 4WD only and extreme caution is advised. Especially the last stretch before you get to Kalumburu (some 30km) is rough (very rocky). But tourists, also those towing boats and large offroad campers, have been getting through. Ooops! I forgot to tell you in the last newsletter that both the Windjana Gorge campground as well as the Silent Grove campground (at Bell Gorge) can now be booked online! You can - but you don't have to - book your campsite online. Only do this if you are on a rigid schedule and know exactly when you'll be there. If you don't, then just make sure that you will get there early in the day. Both campgrounds can get very full during peak season and sites are allocated on a first come, first served basis. The price at both is $13 per adult per night, payable to the ranger, in cash. You will need exact change! Book a site at Silent Grove here. Book a site at Windjana Gorge here. More news on tourist destinations at Kalumburu. Updates from the Mitchell Plateau. Geikie Gorge cruise time table. Flying drones in the Kimberley and NT. Since publishing the newsletter the shire of Wyndham East Kimberley has advised that due to ongoing grader work they don't expect to open the Kalumburu Road all the way to Kalumburu until 25 May. Continue reading "Kimberley and NT News, Issue 66"
I will be away from April 13 - May 6! Amit will be looking after you during that time if you have any problems or questions concerning any subscription or purchase. Amit can also reactivate your download link if needed. Sorry that I have to go quiet on you for at least four weeks at this time of the year! Open for high clearance 4WD from Derby to Mt. Barnett. Grading has started from Derby. Open for high clearance 4WD from Mt. Barnett to Pentecost crossing. The Pentecost is about 500mm deep, some other rivers and creeks may be deeper. From the Pentecost crossing to the Great Northern Highway the road is open to all vehicles. The Kalumburu Road and Port Warrender Road (access to the Mitchell Plateau) are closed. It could be 3-5 weeks from now until those roads open all the way, hard to say yet. The Drysdale crossing is about 500mm deep (but difficult to cross due to big sand banks that the wet season left sitting in the middle of it). The King Edward crossing is about a metre deep and flowing fast. Mount Hart Wilderness Lodge is opening on the 15th of April. Mornington Wilderness Camp will open 30st of April. Charnley River hopes to open within the next week or two, depending on when the shire will open the track in. Mt Elizabeth will probably not open until 1st of May. Home Valley Station expects to open late April. El Questro Station is open. Emma Gorge will open 1st of May. If you are about to hit the road, have a good trip! Know A Good Mechanic Who Wants To Work On The Gibb? Reminder: I Will Be Away April 13 - May 6! Continue reading "Kimberley and NT News, Issue 65"
I Will Be Away April 13 - May 6! Continue reading "Kimberley and NT News, Issue 64"
Outstanding free Kimberley / Gibb River Road video documentary. Reader feedback regarding driving on unsealed roads. Continue reading "Kimberley and NT News, Issue 63"
This is an outstanding free series of nine videos, documenting a 4WD trip across the Kimberley in Western Australia, including the Dampier Peninsula and the Gibb River Road. Cinematographer Gavin Gillet filmed the series during July 2017 (peak season). He combines dash cam and drone footage with great commentary and helpful tips regarding 4WDriving in the region. The video quality is exceptional, the material is edited and cut expertly, yet the series has none of the commercial brochure feel that you get from the usual promotional videos from the region. Continue reading "Kimberley / Gibb River Road Video Documentary"
The Broome region experiences its 3rd cyclone in this season. In only eight weeks Broome broke its previous ANNUAL rainfall record. How will that affect early season trips? Continue reading "Kimberley and NT News, Issue 62"
Our 3 week Kimberley round trip (Broome to Broome) was due to start on 23rd May 2017 and I began to follow the weather reports with trepidation. News of the biggest wet season in a long time kept coming and I wondered how we city slickers would cope. However with everything booked and paid for, there was no turning back. So we set off on what was to become a great adventure visiting one of Australia’s most special areas – The Kimberley. Continue reading "An Early 2017 Kimberley Adventure - After A Huge Wet Season"
This issue is mostly about the recent weather. Most of the Kimberley and the Top End is flooded! Find out the details, see great videos and photos, some informative and some plain hilarious, and find out if it might affect your travel plans. Continue reading "Kimberley and NT News, Issue 61"
Continue reading "Dust roads and starry nights"
Continue reading "Daily budget for 24 day round trip Broome to Broome"
Continue reading "Generator vs. Solar Panels"
Ayers Rock or Kakadu in June? I will be traveling in June with two teenagers and I am interested in either going to Ayres Rock or Kakadu. Which area would be better if I only have time for one? Continue reading "Ayers Rock or Kakadu in June?" Are the Kimberley roads safe for small cars in January? My wife and I will travel from Broome to Muirhead in Darwin this coming January. May I ask if it's safe passing through the Kimberley during those days? Continue reading "Are the Kimberley roads safe for small cars in January?" Liquor restrictions have been tightened in the East Kimberley. Reader question: What would be the perfect itinerary? Continue reading "Kimberley and NT News, Issue 60"
New permit required for Mitchell Plateau! Direct flights from Singapore to Broome being trialled in 2018. Continue reading "Kimberley and NT News, Issue 59"
Recommendations regarding 2018 trip planning and booking. Reader feedback, experiences, trip reports and questions. Continue reading "Kimberley and NT News, Issue 58"
Continue reading "The True Broome"
Continue reading "Air Opus camper on the Gibb River Road..."
Yeeda Station restricts access to parts of the Fitzroy River. Historic "Statement from the Heart" issued by First Nations Referendum Council at Uluru in May. Excerpts of emails and other messages from my readers, sharing their experiences and containing useful information for your own planning. Continue reading "Kimberley and NT News, Issue 57"
Continue reading "Kimberley for Pensionable Road Trippers"
What an adventure to the Top End. We bought Birgit’s guides and they helped us so much to properly plan the trip and to adjust the itinerary all along.